Definitely for Cheese Lovers! Instead of the usual cheese ball, how about making it look more Christmassy? At first I could not get it stay up like I would have wished it too, then came up with the idea of the cardboard cone. Instructions below. In a large bowl, combine well the cream cheese, mayonnaise, and Parmesan cheese. Add the crumbled bacon, spring onion, garlic, chilli flakes, smoked paprika and season.Cut a semicircle out of the cardboard. Lay it flat on the table and place a sheet of cling film over it. Turn it over and secure the cling film with tape at the back. Form the semicircle into a cone and tape it to secure. Place this cone in a tall glass and fill it with the cheese mixture, gently pressing it down. Place in the fridge, still in the glass for an hour till the cheese sets. Take a serving plate, place over the cone and turn the plate over. Gently remove the tape and ‘peel’ off the cone. Take the chopped parsley and press it gently onto the cheese cone, to cover. 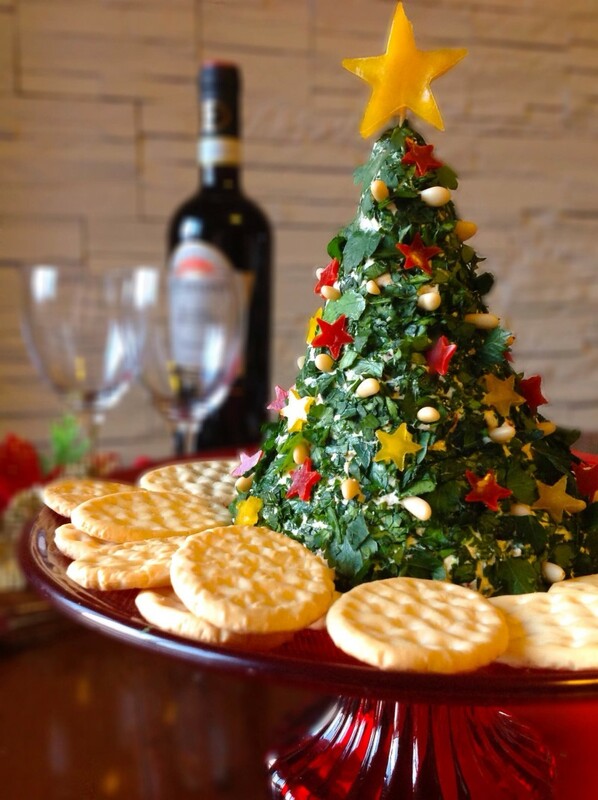 Stud the tree with the pine nuts in the cheese to look like a garland. Using a small star cutter, cut out little stars from the red and yellow peppers and a large yellow star for the top. 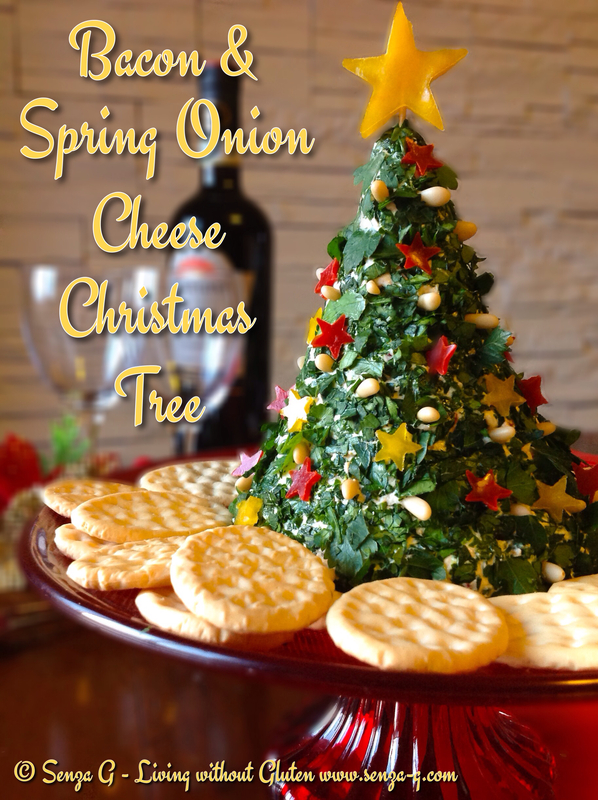 Press the little stars onto the cheese tree. Put a toothpick through the large yellow star and place on top.